It’s not very often that I have the privilege of heading back to my old stomping grounds at NC State University. I mean, I do go back on occasion, but normally I stick around near Durham, NC. 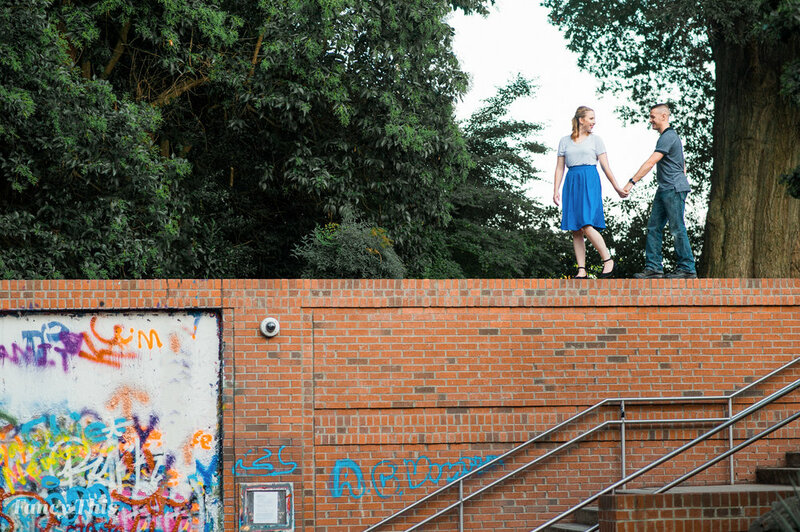 As you would expect, I was more than thrilled to hear that Cami & Chris were all about doing their engagement session on wolfpack grounds! To give you a little background story of Cami and myself, she and I met at NCSU probably about 7-8 years ago. So, to say we knew the hot spots to go were an understatement. The best part about this story? It’s actually she and Chris’. 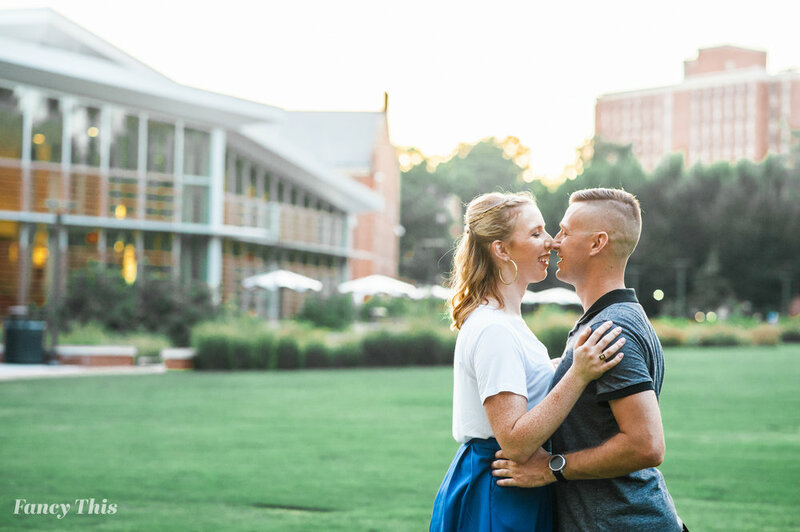 Chris and Cami met at a motorcycle meet up group at the top of a parking lot on NC State’s campus. They didnt immediately start dating at that time, but that was where they first laid eyes on one another. With knowing this little tidbit, I knew we had to incorporate their motorcycle! I mean, when life give you lemons you make some pretty awesome lemonade. We started the day at the top of said parking lot. I know…a parking lot? But ya’ll, it had the prettiest view of downtown Raleigh that I, personally, had never seen until that point. Oh, and the best part? There may even be a cameo of these two in Chris’ cop car. Later, we trekked around the bulk of campus hitting up the ceremony grounds where Harrison Hall used to be, pit stopping at the Free Expression Tunnel, and ending at the new Talley Student Center (which by the way, was not there when we were students). 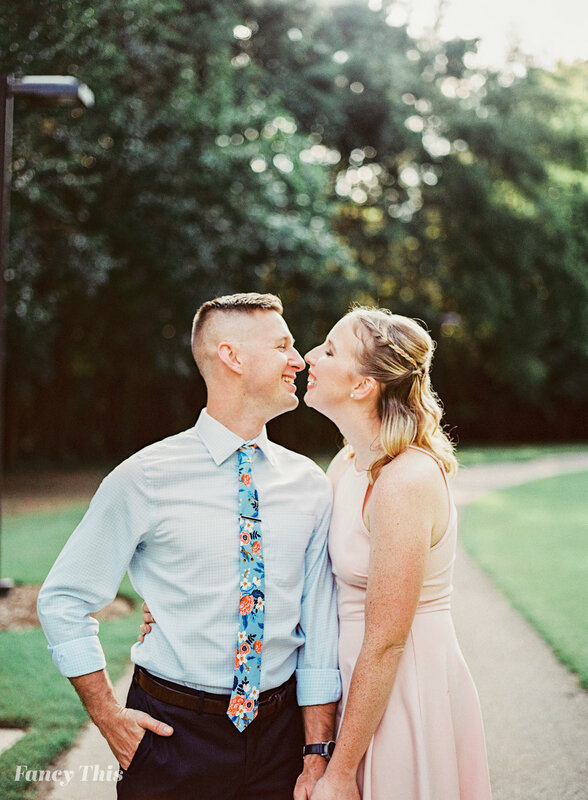 I so enjoyed photographing these two, but more importantly, I love that I got to see a snippet of how these two interact and showcase their love. This is the best part about my career. This. Being present and showcasing others stories.